Six minutes?! What a tease! 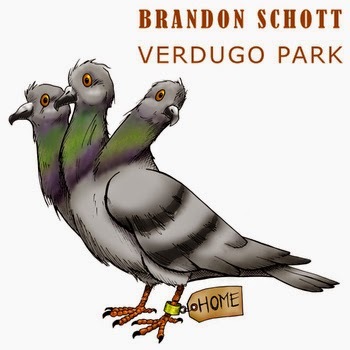 Brandon Schott has released a brand new EP called Verdugo Park, which essentially serves as the second single from his upcoming album Crayons & Angels backed with a couple non-album tracks. Such music biz lingo. Magic. Following the title track is the trippy instrumental Lapiz Lazuli. To carry the Beatles comparison further, it's the Lennon after the McCartney. It's impossible not to hear the mid-60s influence of Tomorrow Never Knows, but it's not merely a copy; it's a Schottsian original. You can picture Brandon working meticulously on this one in the wee hours of a Sunday morning drinking a Scotch while hoping not to wake the kids. My only criticism is that it's not five minutes longer. Finally, the EP finishes with a perfectly pleasant cover of Castaway. It's an appropriate balance to the rest of the EP and reminds you of earlier, simpler Schott that is more stripped and less studio. Remarkably, in a mere six minutes on a single EP, Brandon Schott has showcased his best qualities. If the intent was to get us pumped for a full-length, well dammit, it's a job well done. 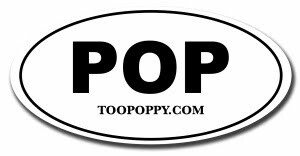 Disclosure: We at Too Poppy consider Brandon a good friend. In other words, he can do no wrong. Of course, a thorough listen to his catalog reveals the truth behind our opinion. Go on. Discover and explore already. Verdugo Park is out today digitally and available very soon physically!